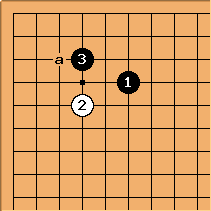 a to c are viable ideas, d looks vulgar, e is an idea to transpose into the small avalanche. 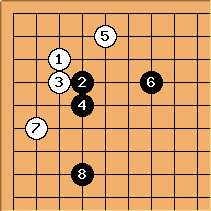 White's approach here gives a position that is characteristic of the 6-4 point, rather than a tenuki joseki. It is also by far the most common answer. 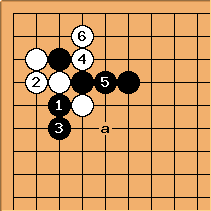 Second most common is at a: others are not really seen in professional play. 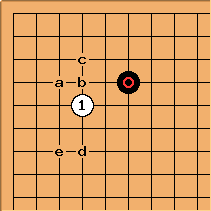 Black b next is most usual and Black c is known. 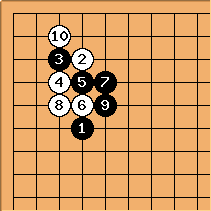 Black at d or e to pincer have been played by Yamashita Keigo and others. 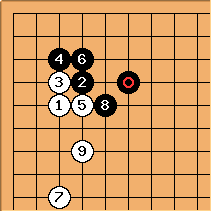 This line has appeared in enough pro games to be recognisable as a joseki in the making. 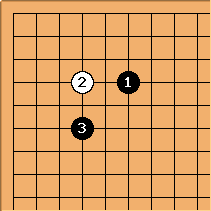 At the choice is between a and b. 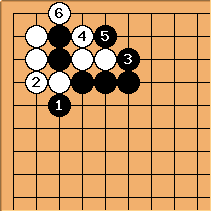 If Black connects with , both players establish a position up to , after which Black can choose between , and tenuki. 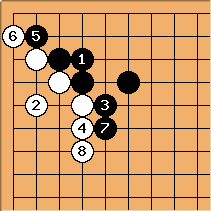 With , Black opts for influence, granting White the corner. 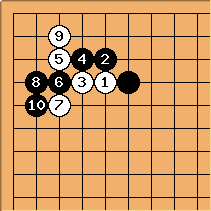 After , Black can play tenuki or play honte at a, a solid but slow move. Note: The only games in my collection where is played are very old, from ~1940. 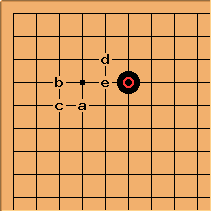 This is not the case for the previous diagram, which seems to have been popular in China in the first half of the 1990s. 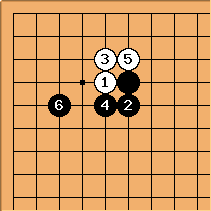 When white enters on the 4-4 point, gives a conversion to the severe 44 point double high approach. 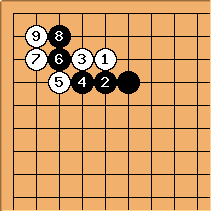 The 8 points white gets in gote is worth far less than the influence black gets. 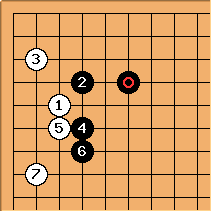 This way, it reverts to the small avalanche joseki.